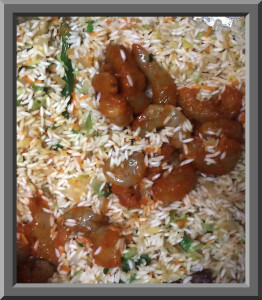 Basically this prawns & egg pulav can be made without adding eggs those who don’t like eggs. 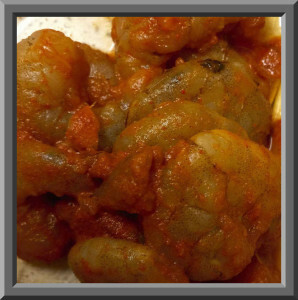 Or can be made just by using prawns, which makes it prawn pulav. 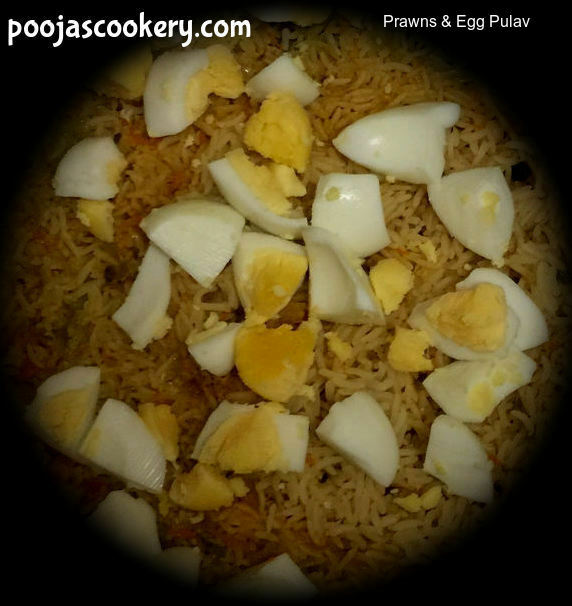 If you use just eggs, then it will be Egg Pulav. But since I had lots of eggs in the Fridge and wanted to finish them very soon I tried out this. Also you can add any type of vegetables in it so that picky eaters will also enjoy. 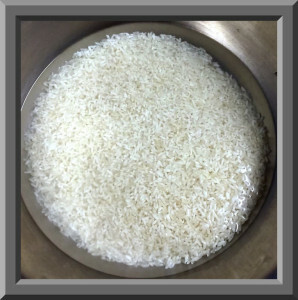 1 Cup Basmati or long grain rice. First clean the prawns, apply ginger garlic paste, turmeric and red chilli powder to it and keep aside. Next Wash rice and keep it for soaking at least for 30 minutes. Chop onions, vegetables, grate ginger and garlic and keep aside. 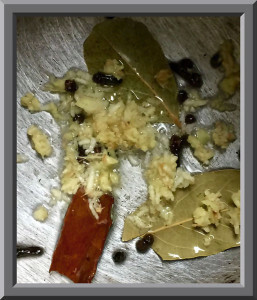 In a Pressure cooker, heat 1 tbsp of oil , in that add whole garam masala, grated ginger garlic. Fry for around 2-3 minutes on medium heat. After the raw smell of ginger garlic goes away, add chopped onions and fry for about 7-8 minutes on medium heat. Now add rice and again fry it for 2 minutes . Add prawns and chopped vegetables. Pour two cups of water. Sprinkle salt as per taste. Cover it and cook on high heat for 1 whistle. Now switch off the stove and let it be on the stove till all the pressure goes off. After the pressure is off, remove, garnish with cut boiled eggs.